CHIANG MAI: A much-criticised housing project for judicial officials at the foot of Chiang Mai’s Doi Suthep could be turned into learning centres for the benefit of locals, army chief Chalermchai Sitthisad has suggested. “We should use the area for the benefit of Chiang Mai province as a whole. People in the province can benefit, if the structures were turned into learning centres,” Gen Chalermchai said yesterday (Apr 10). “The landscape must be adjusted to be compliant with the local area and there is no need to use the powerful Section 44 order to deal with the problem,” the army chief noted. 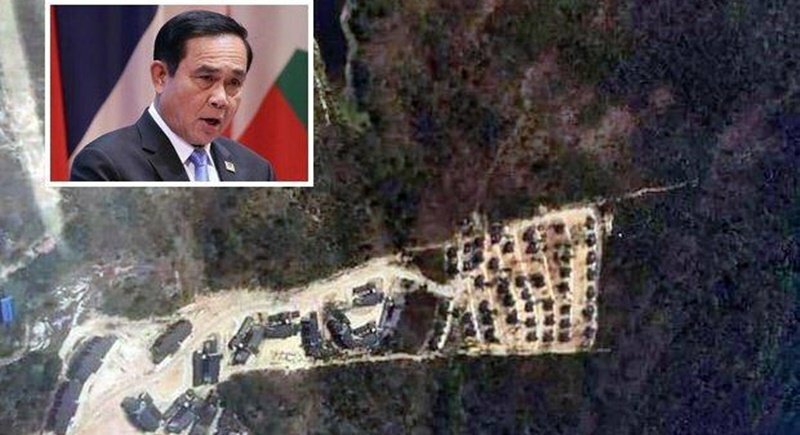 The government has been trying to defuse tension caused by the environmentally controversial housing project that led to the bulldozing of 147 rai of foothills on Doi Suthep to build judicial offices and 45 houses. Belonging to the Treasury Department, the forest area serves as a water retention area. Started over two years ago and on target to finish in June, the project has come under fire from locals and conservationists. Early this week, protesters proposed at a forum sponsored by the army that 45 houses built on a slope be demolished but the office building for judges, which is on flat terrain, be spared. Gen Chalermchai said these structures cost more than B200 million and asked if the money would not be wasted if they were razed. The Region 5 Court of Appeal Office, which owns the project, insisted the development is in compliance with the law. The site is located on Treasury Department land in tambon Don Kaew and it is not part of the national park, it noted. Meanwhile, Prime Minister Prayut Chan-o-cha said the project was approved before the current administration came in, but the government must ensure the project complies with the law and responds to the people’s demands. “State budget has been used to fund the project and if the buildings are to be torn down, someone must be held accountable,” Gen Prayut told the media. The project to build the office space and houses for judges was initiated almost 15 years ago during the Thai Rak Thai-led government. The project received one billion baht budget approved by the Yingluck Shinawatra-led govenrment. Gen Viddhavat Rajatanun, acting chief of the Office of the Ombudsman, said his agency is ready to step in to look into the issue if it receives a petition. Much progress has been made in the construction and the court of justice, which legally obtained the land, has no authority to stop the work, he said. “In this point, we should think that forest and people can be together,” said Gen Viddhavat. Rangsrit Kanjanavanit, deputy secretary-general of Seub Nakhasathien Foundation, said the authorities should demolish the 45 houses on the hill slope to set a good precedent for conservation. “The gain from saving the state budget spent on building houses would be less than the loss of public sentiment. If the authorities let the project stay, it will encourage deforestation to develop in other areas,” said Dr Rangsrit, also a resident of Chiang Mai who exposed the housing project over two years ago. Leaving these 45 houses, he said, is like creating a permanent scar on the hill. Dr Rangsrit said it is better to demolish the houses on the slope because forest dwellers might end up facing a threat from forest fires that seasonally erupt on Doi Suthep hill. “The authorities might not be aware of the problem. But they will have to deal with forest fires in future,” he said. “Afterwards, people will see more forest land in the area has to be cleared, because the authority needs to create a buffer zone to protect the housing project,” said Dr Rangsrit.